It’s week 2 of our fall cocktail series and I have another warm and fragrant drink for you. I made mulled wine last week and enjoyed every sip along with the aroma that filled my home. 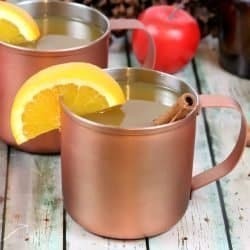 This week I’m sharing mulled apple cider, I couldn’t help it, mulling might be my new favorite technique. This cider is warm and perfect for a sore throat or warding off the chills. It also fills my home with a sweet and spicy aroma that rivals the mulled wine scent. Get all the details below along with more fall cocktail recipes. Mulling is the process of combining a drink, like cider or wine, with spices and fruit to create a delicious warm concoction. An exact recipe isn’t necessary once you find the perfect taste. You may love a lot of citrus and prefer to go easy on the cloves. Or you may add cranberries instead of oranges, and skip the liquor. There are a lot of options, I recommend starting with my basic recipe then tweaking it to make the perfect mulled apple cider for you. A warm spiced drink perfect for chilly days. Combine all ingredients in a slow cooker and simmer for until heated through. Strain and serve warm with fresh orange slices and a cinnamon stick for garnish. Liquor. I prefer the spicy taste of spiced rum, but you can also use brandy whiskey bourbon or dark rum. Or leave out the liquor all together. Fruit. I use oranges, but you can try cranberries or another citrus like limes. Spices. This recipe calls for cinnamon and cloves. You can also try star anise or cardamom and vary the amounts of each. Cider. I always use fresh from the farm apple cider, it’s rich and unprocessed. You can substitute apple juice in a pinch. This mulled apple cider fills my home with the sweet scent of apples and tastes as good as it smells. Simmer it in a crockpot, do not boil, for as long as you like. The longer it simmers, the deeper the flavors will become. 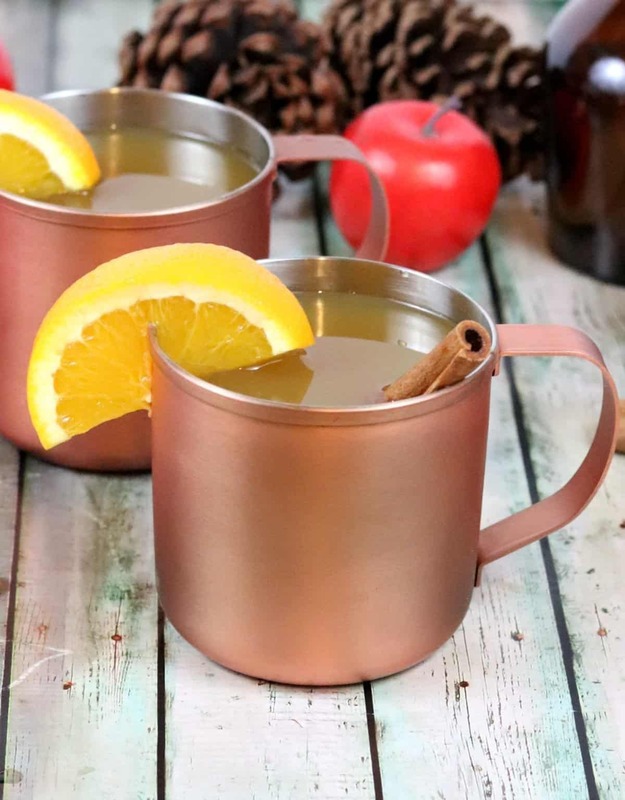 If you are a fan of mulled apple cider be sure to pin this! Oh yum! Now I want to go mull something. I thought the wine last week sounded delicious but this is right up my alley. 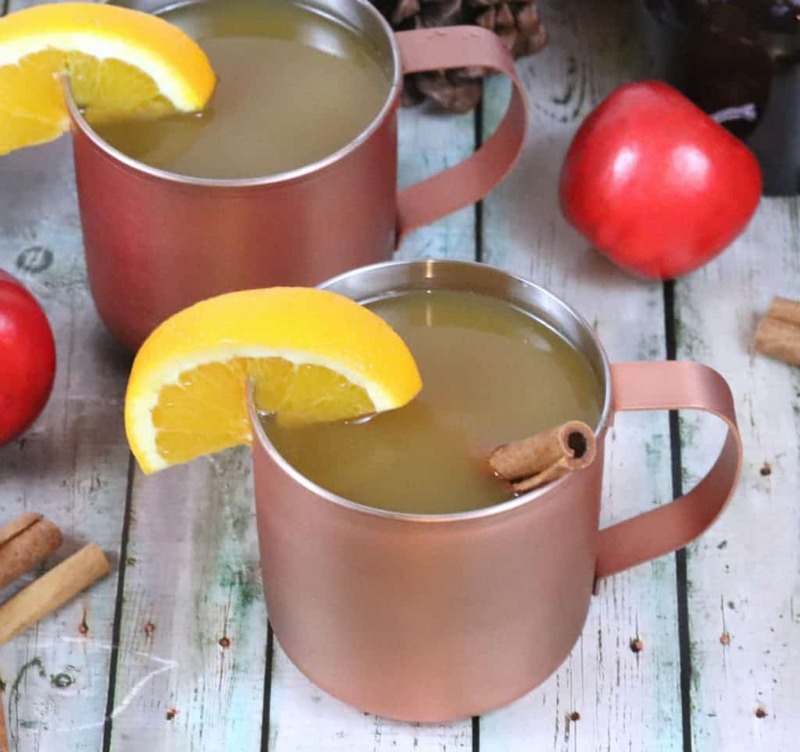 Mulled Apple cider is a favourite fall drink. Can’t wait to try your recipe!